This calendar will have all the latest dates and times for club activities as well as all the regular activities such as club sessions and yoga. With regards to trips, the calendar wil be updated with rough dates. This is only rough as climbing trips are so weather and driver dependent that we might be required to change dates closer to the time. Specific trip dates will be confirmed before the relevant trip sign-up is published. Monday – Bouldering at the Barn or Hangar. What is it: The Barn is a great bouldering centre found outside of Exeter. We try to get as many people along as possible (driver dependant) to spend the evening working on all the various problems set there. This is a great place to work on your bouldering and practice topping out on boulders (super useful for climbing outdoors). Cost: centre entry £3 (Barn) or £6 (Hangar) + petrol money (≈£4-5). Sign up: the spreadsheet here. Tuesday – Yoga at Streatham Sports Park Studio 3. What is it: Hour long yoga sessions provided by our lovely professional instructor. Here you can build up your flexibility for climbing, unwind and find your inner zen… or realise just how inflexible you are and have a laugh with almost everyone else who will likely be in the same position as you. What is it: The Quay Climbing centre is Exeter’s local climbing centre. Here there are top-ropes, lead walls and bouldering rooms. Perfect for everyone from beginners to 8a climbers. The committee will be down there with club kit which you can borrow free of charge for the whole session. 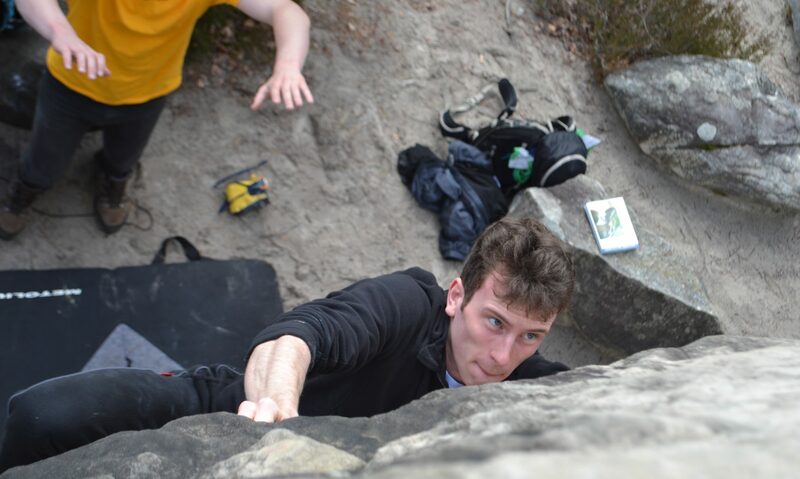 We will also be providing top-roping and lead climbing lessons (worth up to £200 combined), again for free! All you need to pay is the entry fee of £4 but once you’re there you can stay as long as you like. Sign up: Top rope lessons: sign up here. Taster sessions: here. Lead lessons: here. What is it: Climbing socials are a great place to meet other members of the club and find new climbing partners. Throughout the year we run a fantasitc variety of socials, from pub trips to boozy bowling and Christmas Dinners. Information about socials will be posted on the Facebook group in advance so keep your eye out for them! What is it: This is the same as Wednesday’s session, just a little later. Entry will be £4 and all the kit and lessons will be available in the same way. It’s a great way to end the week and get strong for the weekend trips.